Product information "Blink LED PL 42 Ceiling Light"
The flashing LED PL 42 ceiling lamp acts as a vessel in which the light is refracted through countless crystals and pours into the room. It is available in different colors and crystal variations, the Swarovski variant is particularly convincing with elaborate touches. It was designed by Manuel Vivan and manufactured by Masiero. 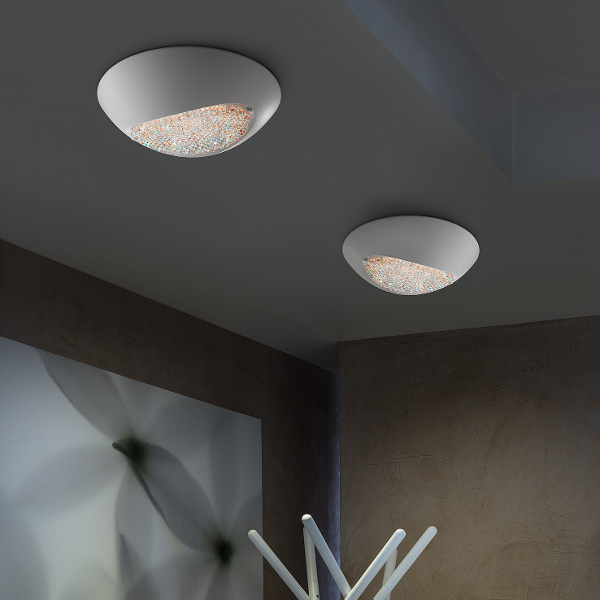 Related links to "Blink LED PL 42 Ceiling Light"